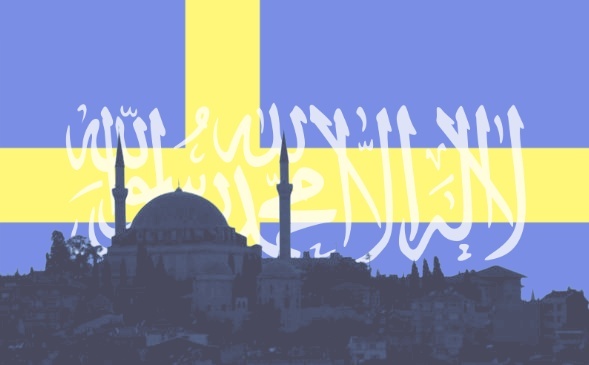 The Sweden Democrats of Karlskrona tried to stop the Islamic call to prayer from being ululated in their town, but they failed. After a long and intense debate in the General Council, the motion of the Sweden Democrats to forbid religious calls in public space in Karlskrona was voted down. The Islamic Cultural Association in Karlskrona may continue their calls to prayer from their mosque in Kungsmarken during the Friday prayer. The mosque in Karlskrona now has all the permits that are required from the police and municipality. But the Sweden Democrats want to change the local order charter, and suggested in a motion that “no religious call can be made in public space.” The Sweden Democrats maintain that religious freedom also means a right to avoid hearing religious messages, such as a call to prayer. “One should not impose on anyone,” says Robert Andersson (SD). Several members argued that that the question of religious freedom cannot be settled by changing a local charter. “I think that the trade-offs and limits of religious freedom belong to the Parliament. We can’t have one religious freedom in Karlskrona and another somewhere else,” says Börje Dovstad (L). The motion was voted down with a tally of 39-29. Five members were absent, and two abstained from voting. How each individual member voted in the vote will not be made public until next week. However, according to the chairman of the council, Gunilla Ekelöf, nobody deviated from their respective party lines. “M, KD and SD (parties) voted for the motion. And SW, C, L, MP and V voted against,” says Gunilla Ekelöf. This entry was posted in Counterjihad, Culture Wars, Enrichment, Europe, Insanity, Legal action, News, PC/MC, Politics, Religion, Scandinavia, Stupidity by Baron Bodissey. Bookmark the permalink. Nothing speaks louder of the peoples displeasure than when you ring the bells of the churches during Islamic call to prayer. Several years ago I had moslem neighbours. 3 women in full burkas with several children, all in one small house. They would open a window and place a large speaker in it and play very loudly, 5 times a day, the call to prayer. I placed a speaker in my own window and played, very loudly, the English Defence League marching song ‘We’re Coming Down the Road’. Remember when the sound of church bells were like old friends calling out to you? The Swedish politician, Jeff Ahl, stood for the Alternative for Sweden in the national elections. He promised to remigrate the invaders to their homelands and destroy all Mosques on Swedish soil. The woman in the video – obviously not a native of Sweden – cannot express often enough how she will fight to the death to destroy Swedish society. The Alternative for Sweden (AfS) received only 20,000 (0.3%) of the vote. The Swedish are suicidal. Don’t waste your time with them. I cannot withold making occasional jokes of Swedes and of Sweden. It is one of the few thrills I have left in life. As far as being the subject of jokes, Swedes are now the new Poles. All is not lost if you are willing to fight for your land and people. Remember, never give an inch, never ever. If we throw the Swedes under the bus, who is next? Perhaps we are simply performing ‘reverse psychology’ in the hopes that enough embarassement will produce an uprising.?? As for myself, I have watched all the re-runs of ‘Allo, Allo’ and I am in need a good substitute. My Canadian friend, the one thing you can always count on when push comes to shove is human nature, for one way or another, nature always finds a way.